Traditional assumptions hold that education and learning are primarily early life span endeavors that serve to prepare individuals for occupations and civic engagement. Such a limited view of the role of education is being overturned by a relatively recent shift in the understanding of the nature of adulthood and aging. Rather, lifelong education is essential for the healthy development of both individuals and societies. First, there is accumulating evidence that the education of both formal and informal sorts contributes to lifelong health, well-being, and cognitive resilience. Further, the capacity to take the advantage of education and opportunities for learning is present throughout adulthood into very late life. Thus, access to education throughout the life span is an important facet of sound public health policy. Second, driven in part by advances in medicine, we are living longer. Population aging on a global scale is unprecedented, pervasive, and projected to endure (United Nations Department of Economic and Social Affairs Population Division, 2002) so that by 2050, for the first time in history, the proportion of adults over the age of 60 is expected to match the number of people who are younger than 15 years of age. With this shift, conventional models of education, in which individuals are educated early in the life span to prepare for work and civic responsibility in adulthood, are no longer tenable. Such models were predicated on the assumption of shorter expected life spans relative to today. Longer lives are leading to trends for a more extended time engaged in work, even while the nature of work and the knowledge and skills required for work, are changing at an ever-accelerating pace. The consequence is that it is simply not feasible to educate children and young adults for the jobs they will have 40, 50, or 60 years hence. Also with this shift, conventional models of retirement, in which large numbers of younger people in the workforce support an extended period of disablement and/or leisure for a relatively small population of older adults, are no longer economically feasible. Some time ago, Riley and Riley (2000) identified these problems as ones of ‘structural lag’, in which the social structures that defined the roles available to individuals at particular ages were lagging behind the profound changes engendered by longer life spans. The upshot is that these age-segregated social structures must be transformed, so that education is accessible throughout the life span if we are to optimize health, well-being, and human capital. Finally, a substantial number of individuals, for a variety of reasons, do not fully acquire literacy, numeracy, reasoning, and other basic skills needed for full participation in adult life during early life span educational experiences (National Research Council, 2012). Such individuals find their way to adult basic education programs, disability services in universities, and work-related training programs, often with some urgency of educational need, but with complicated adult lives. For such people, education science must offer efficient and effective means of meeting educational goals within the constraints of a busy adult life. Thus, education is very much a life span enterprise. We open our review by considering the nature of life span cognitive development. Then we discuss the effects of education on development – first from the perspective of what early life span education contributes to lifelong development, and then from the perspective of how adult development and aging may be shaped by ongoing educational activities. Finally, we return to the issue of structural lag by considering new models of life span education. Life span psychology is now a mature area of inquiry (Baltes et al., 1999), and it is widely recognized that development is incomplete at the transition into adulthood and extends across the entire life span. An understanding of the core tenets of life span psychology provides important grounding for conceptualizing the role of lifelong education. An important contribution of life span psychology is a melding of both person-centered (holistic) and function-centered approaches. Development is multifunctional in the sense that the system comprises processes (e.g., perception, memory, reasoning, regulatory mechanisms, identity, dispositions, social strategies) that define the way in which the individual (at the system level) experiences the world and is able to adapt to it. Nevertheless, development is holistic in the sense that the person, with a unique constellation of these functions (e.g., abilities, dispositions, values), develops as a system such that there is coherence across developmental periods or stages. Component processes constitute distinct functions that can interact but develop independently as a function of biological, environmental, and cultural resources. The consequence is that development is necessarily multidirectional. Development can be multidirectional in the sense that functional systems show divergent trajectories from one another. For example, sensory and perceptual systems generally show declines with age as a consequence of the biological process of aging, while the capacity for knowledge growth, which thrives on environmental enrichment and cultural context, appears to be fairly well preserved into very late life. Development can also be multidirectional in the sense that processes within functional systems can show divergent trajectories. For example, consider the case of problem solving: biological constraints may place limits on certain facets of cognition involving speeded processing of novel patterns with age, leading to declines in inductive reasoning, while life experience may afford growth in reflective judgment, contributing to expertise in social problem solving. Among the most salient examples of multidirectionality in adult cognition is the divergent development of fluid and crystallized abilities. Fluid abilities or ‘mental mechanics’, the ability to apprehend and mentally transform novel patterns, are highly vulnerable to age-related biological declines, whereas crystallized abilities, which rest on knowledge and well-learned skills, are relatively resilient. Another example of multidimensional development is in the motivation for learning, which may be driven primarily by the need for information acquisition early in the life span, but by social–emotional concerns later in the life span. Plasticity, the capacity for change in response to experience, exists throughout the life span. Plasticity is distinct from flexibility, defined by one’s current skill set that enables adaptation within a particular range of demands, and implies the ability to both gain in efficiency and form new representations (Lovden et al., 2010). Thus, plasticity implies the capacity to increase in flexibility. So, for example, learning a second language is likely to increase the range of situations in which one can function, that is, flexibility, and depends upon existing plasticity. Some evidence suggests that bi- or multilingualism enhances cognitive function more broadly (e.g., cognitive control, ability to learn vocabulary in a novel language; Bialystok et al., 2010); to the extent that this is the case, it would suggest that learning a second language may enhance plasticity itself (i.e., enhancing potential for learning in new domains). Some theorists argue that the hallmark of plasticity at the neural level is structural alteration in networks, while changes in activation within existing neural networks define flexibility (cf Lovden et al., 2010). By this view, plasticity is a sluggish capacity, which can be thought of as adaptive, since a system that was incessantly rewiring itself would be unstable and ultimately maladaptive. As an adaptive capacity to respond to new demands, plasticity requires a relatively long-term mismatch between demands and existing skill sets. Importantly, current levels of flexibility contribute to the range of environmental presses to which the individual can respond with increased plasticity: demands that do not challenge current skill sets do not engender plasticity, nor do demands outside the range of current skill sets afford a fruitful engagement with the experience. This notion that development and learning depend on experiences that challenge the system within an optimal range is pervasive in the psychological literature, at least since Vygotsky’s discussion of the zone of proximal development, and more recently, in Metcalfe’s work on the region of proximal learning (e.g., Metcalfe and Kornell, 2005). While plasticity is at the core of human nature, there is wide individual variation in plasticity, so that some individuals require a more prolonged experience of increased demand to increase adaptive capacity. As a rule, plasticity tends to decrease later in the life span, as a consequence of age-related limits on neurogenesis, so that plasticity may become increasingly sluggish. At the same time, individual variation in plasticity is certainly present throughout the life span. Education and life span developments are intimately related. On the one hand, it is important that we understand how education contributes to development. On the other hand, we must know how to create instructional programs that can effectively teach individuals at different stages of the life span. One consequence of multidimensionality and plasticity is that adults become increasingly different from one another, so that a life span perspective on education implies developing instructional approaches that can accommodate such variation. In the next sections, we review what is known about the lifelong effects of education early in the life span, and then consider how education can shape development during adulthood. Educational experience during youth and young adulthood can confer a number of lifelong advantages. Perhaps obviously, this can include skills and regulatory capacities that contribute to employment and social mobility, and dispositional attributes that engender plasticity by enabling comfort with novelty, or sustained investment in stimulating activities. Perhaps less obvious, but the focus of much recent research is that education can have lasting effects on brain and cognitive health into late adulthood. It has long been recognized that educational level, psychometric intelligence, and socioeconomic status (SES) or income are correlated. These interrelationships are likely multidetermined and complex. Because intelligence tends to be a moderately reliable individual difference throughout the life span, and because individuals are selected into educational experiences based on demonstrated intellectual merit, the effects of education on intelligence are difficult to parse out. However, there are good reasons to believe that at least some of these effects can be directly attributed to the effect of education on intellectual development. For example, based on evidence from ‘natural experiments’ (e.g., accidents of geography or history that impact educational opportunities largely without regard for talent), Ceci and Williams (1997) concluded that education is a direct cause of intellectual growth. This is not an uncontroversial position given arguments that intelligence is relatively immutable and that education primarily serves the function of selection among those with intellectual capacity, rather than playing a direct role in intellectual growth (Herrnstein and Murray, 1994). Nevertheless, there is increasing evidence for the plasticity of intelligence and the important role that education plays in this plasticity. A recent example of a natural experiment of the sort described by Ceci and Williams comes from Brinch and Galloway (2012), who examined the effects of school reform in Norway on increasing the level of compulsory education, and subsequently increasing IQ scores in adolescence. The availability of large-scale longitudinal data sets that include measures of childhood or young adult intellectual function, educational attainment, and occupational and health data (e.g., Scottish Mental Survey, Lothian and British Cohort Studies, Project Talent) has spawned a new area of inquiry over the last decade, called ‘cognitive epidemiology’, which examines the longitudinal correlates of intelligence early in the life span. A strikingly well-replicated finding is the ability of intelligence to predict health in adulthood, as well as mortality (Deary, 2012), a topic to which we will return in a moment. Another consequence of such large longitudinal data sets is the opportunity to use sophisticated statistical techniques to examine mechanisms underlying differential development using mediational models (cf MacKinnon et al., 2007). So for example, evidence from the British Cohort Study (cf Deary, 2012) suggests that the relationship between childhood IQ and SES is mediated by educational investment. Of course, questions about the impact of educational engagement on intellectual growth, health, and SES inevitably depend on correlational data, and even with the most carefully done structural equation modeling, the best we can do is test whether the data are consistent with causal accounts, so that debate on this issue is lively (e.g., Deary and Johnson, 2010, 2011; Richards and Sacker, 2011). The rise in intelligence test scores for successive generations (Schaie and Zanjani, 2006) is likely attributable to a number of factors, including conditions that promote better health (e.g., sanitation, medical advances), but also better access to education for later cohorts. The plausibility of the conclusion that education serves a distinctive role in this cohort drift in intelligence is strengthened by examining divergence in particular abilities: while primary mental ability scores on verbal meaning and inductive reasoning have shown robust increases across cohort, numerical skills have tended to decrease, declines that coincide historically with the advent of calculators. A recent study by Ritchie et al. (2013) used longitudinal data from the Lothian Birth Cohort (LBC) 1921 and 1936 studies to examine the education–intelligence link. On 1 June 1932, the Scottish Council for Research in Education administered an assessment of general intelligence to every 11-year-old child in the country who was in school that day, with the goal to get data on the distribution of intellectual capacities across Scotland. As a result, about 95% of the population of 11-year-olds was tested – at a point prior to the onset of ability-differentiated education. In an effort to understand possible generation differences in intelligence as a result of historical change in family structure, the Scottish Council repeated this effort in 1947. The LBC studies are follow-up assessments of those living the Lothian region of Scotland in old age. Ritchie et al. (2013) took advantage of this extraordinary data set to address the question of whether education contributed unique variance to intellectual capacities in late life. Controlling for intelligence at age 11 and SES, the researchers found that educational level was predictive of intelligence scores in late life. Interestingly, the advantages of education were greater for those with initially lower intelligence test scores. Additionally, there were no reliable effects of education on speed of processing tasks, an indicator of low-level cognitive processing. Collectively, this research strongly points to education in youth as an important contributor to intelligence. Given the relatively strong predictive relationship of intelligence to many life outcomes (Deary, 2012; Kuncel et al., 2004), it may be that these outcomes can be in part attributed to education. Perhaps among the most startling findings from cognitive epidemiology is the discovery that educational achievement early in life is predictive of health, mortality, and cognitive resilience in old age. As with the education–intelligence link, it is challenging to isolate causal mechanisms. For example, it is plausible that education could promote health by conferring economic advantage that enables better access to medical care; by shaping dispositional traits, like conscientiousness, that engender skills in self-regulation and self-care that promote health by establishing a lifestyle early in the life span that engenders habits of mental stimulation that promote intellectual growth; and/or by establishing a consistent and predictable environment that buffers against the toxic effect of stress. It is also plausible that a life course of generalized fitness is created early in the life span by some combination of genes, prenatal, and early life experience that predisposes individuals to both take advantage of education and experience good health. Of considerable interest in the current research, literature is the proposal that early educational experiences directly offset normative and pathological effects of aging to engender cognitive health. The constructs of ‘resilience’ and ‘reserve’ have appeared in the aging and adult development literature to broadly capture the ideas that older individuals may be able to avoid pathological risks associated with aging, and normative age-related cognitive declines, respectively. A well-replicated finding in clinical neuropsychology is that there is often a disjunction between the degree of brain pathology and the clinical manifestation of such pathology on behavior (e.g., cognitive performance or the ability to manage everyday activities). In particular, at autopsy the brains of relatively well-educated individuals often show more evidence of brain pathology than those of less well-educated individuals, who had comparable levels of cognitive function prior to death. ‘Reserve capacity’, the idea that education engenders neural and cognitive growth that buffers against the assaults of pathology, has been used to explain such findings (Christensen et al., 2008; Stern, 2009). It is certainly well established from both animal and human training models that experience can induce neurogenesis (i.e., the growth of neural networks) (Draganski et al., 2004, 2006; Kramer et al., 2004). Some researchers have distinguished between passive and active models of reserve. Passive models of reserve emphasize the neuroprotective effects of variation in the capacity of the brain to withstand pathology. Measures of interest in such passive brain reserve models include head circumference, brain volume, synaptic density, or other biophysical attributes. Once a threshold is reached, both normative effects of aging (e.g., changes in hippocampal volume) and pathological effects of aging (e.g., amyloid plaques and neurofibrillary tangles) manifest themselves clinically and behaviorally. This model assumes that, holding all other things equal, neural networks that are larger or more robust are capable of withstanding more damage before the damage manifests itself functionally. So, for example, there is evidence that education buffers against normative declines in volume of the hippocampus, a brain structure critically involved in encoding new memories (Noble et al., 2012). By contrast, active models of reserve emphasize the degree to which individual differences in task processing (e.g., alternative cognitive strategies, differential recruitment of networks) contribute to cognitive optimization, which can allow some people to cope better than others with “brain changes in general and aging in particular” (Stern, 2009: p. 2027). Such models posit that individuals with greater cognitive reserve are able to compensate for the effects of aging through compensatory changes in neural recruitment (such as increased recruitment of contralateral hemispheric homologues), or through the use of different cognitive strategies (such as an increased reliance on prior knowledge). So, for example, Ritchie et al. 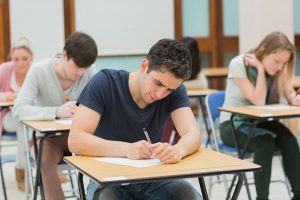 speculated that the effects of education on intelligence test scores but not on tasks of processing speed (as described above) may be due to the greater effects of education on active reserve. Note that explanations in terms of active and passive reserve are not mutually exclusive, as compensatory cognitive strategies result in changes in neural recruitment. Studies that have examined the dual influence of both early education and more proximal variables have found evidence to support the notion that early educational level provides unique predictive validity for later cognitive health. Researchers have found both independent and synergistic effects of education with other potential covariates, including health status, late-life cognitive activities, and premorbid intelligence. Some studies have shown independent contributions from education, while others have shown larger effects of later life health and lifestyles choices on cognition among those with lower levels of early formal education. This suggests that early educational experiences may buffer against the influence of later life choices on cognitive health. Although early life span educational attainment shares a high correlation with later life cognitive ability, it is unclear if the influence of education on rates of dementia is due to an attenuation of declines in cognition among the more highly educated. Some studies have found evidence that education moderates the rates of cognitive decline, but recent results from the Atherosclerosis Risk in Communities Study, a large-scale (N > 9000) study of community-based, ethnically diverse elders, report no effects of education on age-related declines in episodic memory or verbal fluency over 15 years, despite high correlations between education and initial cognitive abilities (Schneider et al., 2012). While findings from such large samples cast doubt on the prospect that early educational attainment slows cognitive decline, such findings should be interpreted carefully. One issue clouding the interpretation of the effects of education on cognitive change is the use of total number of years of education as a proxy for educational attainment and cognitive reserve. Self-reports of the total number of years educated have proven to be surprisingly strong indicators of cognitive reserve (Stern, 2009). At the same time, more proximal measures of cognitive reserve capacity and educational attainment may exist, especially in populations for which number of years of education may not adequately capture the quality of educational opportunities and experiences. Indeed, measures of literacy, premorbid verbal ability, and reading comprehension have been argued to be stronger markers for cognitive reserve than the total number of years of education completed because they are more direct measures of attainment, especially among underserved populations. For example, in an ethnically diverse sample of nondemented elders, Manly et al. (2005) found that increased rates of literacy were not only associated with cognitive capacity at baseline measurement (as is commonly found), but also with slower longitudinal declines in episodic memory, executive functioning, and fluency over 8 years. Recent work has also shown that such measures of literacy are predictive of language comprehension and memory among older adults, with greater benefits of literacy for sentence recall, especially among older adults with lower cognitive capacity (Payne et al., 2012; Kave et al., 2012). Moreover, such longitudinal findings are difficult to interpret because the effects of education on declines in cognition likely vary quite substantially across individuals and are nonlinear in nature. Indeed, the protective effects of education appear to decrease as pathology increases in the brain, leading to the finding that highly educated individuals eventually show steeper declines in function, once a threshold of pathology has been reached (Stern, 2009). This finding, while initially counterintuitive, is central to the understanding of the effects of education on cognitive health; early life span protective factors, such as education compress cognitive morbidity, such that abilities are preserved (or effects of disease are delayed) until some time later in the life span. Indeed, some studies have estimated of the protective effects of education (comparing individuals with less than high school education versus those with more than high school education) to be equivalent of upward of 20 years of normative cognitive aging (Schneider et al., 2012). However, once highly educated adults have eventually met such a threshold of pathological burden, terminal declines in cognition begin with an accelerated negative trajectory. Due to this nonlinear trajectory that is dependent upon an individual’s time relative to terminal decline, it becomes difficult to interpret the effects of education on longitudinal change without information about terminal thresholds for each individual. In studies that have examined the rates of cognitive decline relative to such thresholds, such as the onset of dementia diagnoses for example, such education-dependent compression effects have been observed (see Stern, 2009). Lastly, it has been argued that ‘full’ tests of the effects of education on cognitive and brain reserve are lacking in the literature, as a test of the model requires a measure of reserve (e.g., education, occupational, or activity engagement), a measure of neural integrity or pathology (e.g., brain amyloid), and a measure of cognitive ability or clinical impairment (Christensen et al., 2008). Findings from the religious orders study (Bennett et al., 2003) provide a particularly clear example of a ‘full’ test of cognitive reserve among the highly educated. This study found that higher levels of dementia-related brain pathology (e.g., amyloid plaques, neurofibrillary tangles, Lewy bodies) at autopsy were associated with lower levels of cognitive function before death. However, the correlation between markers of brain pathology and measures of cognitive function was attenuated among those with higher levels of formal education. Other recent results, such as those from the Epidemiological Clinicopathological Studies in Europe (EClipSE) collaboration (EClipSE Collaborative Members, 2010), support active models of the compensatory effects of education on dementia precedence in older adulthood. EClipSE included harmonized longitudinal data from three population-based studies that each included postmortem brain donation, clinical investigation of dementia, and measures of educational attainment (N ? 872). Interestingly, while education was associated with decreased dementia risk and overall greater brain size, there was no relationship between education and risk of neurodegenerative disease or vascular pathology. However, education did moderate the degree to which all measures of neurovascular pathology were associated with the clinical expression of dementia. These results suggest that even though higher education does not provide direct protection against vascular and neurodegenerative disease (but may indirectly, through the association between education and overall brain size), higher education does buffer against the negative effects of neuropathological burden on cognitive function. Education in adulthood in formal settings (e.g., courses with defined goals, criteria for success, and evaluation) is not currently normative. However, such formal educational experiences have the potential to contribute to adult development along a number of lines, including the enhancement of work-related skills, acquisition of knowledge and skills to effectively manage everyday life (e.g., parenting, managing health care for a family, retirement decisions), and as a pathway to lifelong health. Currently, educational activities in adulthood are more typically the informal sort, including investment in work, literacy activities, hobbies, and social activities. It is surprising to many to learn that many people enter adulthood lacking in the basic literacy and numeracy skills needed to fully participate in work, family, and civic life. A recent report from the National Research Council (2012) summarized evidence, based on a nationally representative sample in the US, that only about 57% of adults have prose literacy skills that would be considered above basic proficiency, and that only about 55% have quantitative literacy skills in that range. Thus, there are many adults, who have acquired basic skills in word decoding, reading simple sentences, and arithmetic, but are unable to use these skills to draw inferences, reason, or make decisions. Thus, many of the institutions for adult education exist to provide remedial instruction to help adults develop proficiency in reading and quantitative reasoning. Adults also find their way into educational venues for work-related training, as well as instruction to support avocation-related interests. In contrast to the literature on the lifelong effects of early education on intellectual growth, the research base on the ongoing effects of continued schooling is, perhaps not surprisingly, thinner. After all, it is not normative for adults to be engaged in formal educational activities, and when they are, they have made the choice to engage in these activities, so that cross-sectional comparisons are vulnerable to selectivity biases. Nevertheless, what literature there is strongly points to the conclusion that both formal schooling and certain forms of activity engagement can support preservation and growth in both crystallized and fluid abilities. For example, Beier and Ackerman (2005) provided a life span sample (age 19–68) of individuals with educational modules in health- and technology-related topics, and showed that existing initial strengths in fluid and crystallized abilities and prior knowledge contributed to the development of domain-specific knowledge. Hatch et al. (2007) showed that participation in work-related and elective educational experiences by the age of 43 contributed to the levels of verbal ability and verbal memory in later life when early life education, social mobility, and prior cognitive ability were controlled (thus, reducing the impact of reverse causation). There is abundant evidence from the literature that adults can benefit from explicit training in particular cognitive abilities (e.g., speed, reasoning, memory training), though less clear are the principles by which training particular cognitive skills transfers, or generalizes to, broader cognitive capacities and knowledge growth (Stine-Morrow and Basak, 2011). Another area of relevant research is that on the effects of cognitive enrichment in the form of late-life activity engagement. Hertzog et al. (2008) extensively reviewed the literature and identified seven large-scale studies that measured both rates of activity engagement and rates of cognitive decline over time. They found significant associations across all but one of the studies, some of which had sample sizes of over 4000 individuals. Similar associations have also been found between rates of mentally stimulating activities and the incidence of cognitive impairment (Alzheimer’s and mild cognitive impairment). While these findings are highly suggestive, they do not necessarily indicate a causal relationship between stimulating activity engagement and improved cognition. Muddying this causal relationship is the substantial difficulty with measuring intellectually stimulating activity, especially as perceptions of cognitive demand in an activity differ across individuals (Payne et al., 2011). Moreover, the level of cognitive activity could be a marker for other more proximal causes. Reduced cognitive activity could index early neuropathology, essentially suggesting a reversed causal direction of the relationship. Consistent with this argument is a recent longitudinal study suggesting that there are reciprocal relationships between change in activity engagement and change in cognition, such that individuals who decline more in some cognitive abilities (e.g., speed) show later declines in activity engagement. Cognitive activity does have a more long-term influence on cognitive change over decades; however, weakening the argument that reduced cognitive activity could be solely an indicator of a prodromal period of disease-related neuropathology. Another argument that has been proposed is that cognitive activity engagement may be a marker for a number of other beneficial health and SES outcomes, which benefit the quality of life. Importantly, however, some studies have shown that the relationship between late-life cognitive activity and the incidence of Alzheimer’s disease remain even after controlling for estimates of early-life cognitive activity and SES. While engagement in formal education is not normative in adulthood, adults often do continue to work in substantively complex environments into late life, and this provides an important pathway to examine the relationship between informal educational opportunities and mental stimulation. In an interesting approach to examine the impact of work on cognitive resilience, Rohwedder and Willis (2010) compared cognitive scores across countries as a function of retirement policies, thus circumventing the issue of individual selection into complex environments, assuming that individuals have minimal control over national retirement policies. Rohwedder and Willis analyzed data from three cross-national surveys that provide comparable assessments of cognition: the Health and Retirement Survey in the United States; the English Longitudinal Study of Aging; and the Survey of Health, Ageing and Retirement in Europe, which collected data from 11 European countries. In each case, surveys were based on large nationally representative samples administered over the phone, in which cognition was assessed by delayed recall for 10 concrete nouns (a task that typically shows age declines). Results showed that individuals in countries that had policies incentivizing early retirement (e.g., by taxing earned income at a higher rate) had steeper declines in memory between the early 1950s and early 1960s, relative to those who lived in countries whose tax policies encouraged continued work. Although correlational, the relationship between engagement in work and mental decline reported by Rohwedder and Willis strongly implies that the mental demands of work promote cognitive resilience. Based on our review, we believe that it is clear that individuals can benefit along a number of dimensions from educational experiences throughout the life span, but that a coherent model of true life span education is substantially lacking at our current point in history. In what follows, we suggest some challenges that will need to be overcome in order to meet this need. Lastly, we review some innovative models of cognitive activity engagement in adulthood that provide helpful points of guidance for future models of life span education. The literature on the effectiveness of adult education and learning interventions is scant. At the same time, research on ‘nontraditional’ cognitive interventions and community-based activity engagement programs in adulthood is emerging (Hartman-Stein and LaRue, 2011), based on a substantial amount of both cross-sectional and longitudinal evidence suggesting a relationship between intellectual activity engagement and cognitive health. These intervention studies have been designed with the goal of assessing the causal effect of activity engagement on cognitive outcomes. Of these, projects that have required participants to adjust their day-to-day routines, requiring substantial time and effort commitments, appear to produce considerable benefits. One such program is the Experience Corps Project, in which older adults work as volunteers in underserved Baltimore elementary schools, working with children in literacy development activities in library settings, for example. Early findings suggested that the intervention promoted increased rates of cognitive and physical activities, as well as increases in executive control. Similarly, in the Senior Odyssey Project, older adults work in teams on creative problem-solving activities, such as building balsa wood structures that can hold large amounts of weight, and staging performances. The intervention produced positive effects on certain aspects of fluid ability (e.g., ideational fluency). Another example of a recent innovation in adult education is the Osher Lifelong Learning Institute (OLLI). There are over 100 OLLI programs associated with college campuses around the US, open to adults of age 50 and over. OLLI programs are governed by members, who organize course offerings and recruit instructors each term. Collectively, these studies have suggested that engagement in substantively complex environments may support cognitive resilience. An optimal model of adult life span education will need to take into account normative age-related changes (and variability in changes), including declines in fluid ‘mental mechanics’ (e.g., executive functions, speed of processing, reasoning, episodic memory), increased reliance on cognitive strengths (such as vocabulary and general knowledge), and shifts in strategies used to solve complex problems. An important challenge to meeting this need is that adults have complex lives with competing demands, so that educational resources must be readily available and programs must be efficient in meeting learning goals. It is likely that technology will have to play some role in meeting these demands. With much public discussion over the last decades about the ‘graying of America’, the conversation has focused largely on adaptations needed in systems for delivering health care. Neglected is the need for equally fundamental changes in the nature of education. Baltes, P.B., Staudinger, U.M., Lindenberger, U., 1999. Lifespan psychology: theory and application to intellectual functioning. Annual Review of Psychology 50, 471–507. Bennett, D.A., Wilson, R.S., Schneider, J.A., et al., 2003. Education modifies the relation of AD pathology to level of cognitive function in older persons. Neurology 60, 1909–1915. Beier, M.E., Ackerman, P.L., 2005. Age, ability, and the role of prior knowledge on the acquisition of new domain knowledge: promising results in a real-world learning environment. Psychology and Aging 20, 341–355. Bialystok, E., Craik, F.I.M., Green, D.W., Gollan, T.H., 2010. Bilingual minds. Psychological Science in the Public Interest 10, 89–129. Brinch, C.N., Galloway, T.A., 2012. Schooling in adolescence raises IQ scores. Proceedings of the National Academy of Science 109, 425–430. Ceci, S.J., Williams, W.M., 1997. Schooling, intelligence, and income. American Psychologist 52, 1051–1058. Christensen, H., Anstey, K.J., Leach, L.S., Mackinnon, A.J., 2008. Intelligence, Education, and the Brain Reserve Hypothesis the Handbook of Aging and Cognition, third ed. Psychology Press, New York. pp. 133–188. Deary, I.J., 2012. Intelligence. Annual Review of Psychology 63, 453–482. Deary, I.J., Johnson, W., 2010. Intelligence and education: causal drive analytic processes and therefore conclusions. International Journal of Epidemiology 39, 1362–1369. Deary, I.J., Johnson, W., 2011. Authors’ response: is education causal? Yes. International Journal of Epidemiology 40 (2), 516–518. Draganski, B., Gaser, C., Busch, V., Schuierer, G., Bogdahn, U., May, A., 2004. Changes in grey matter induced by training. Nature 427, 311–312. Draganski, B., Gaser, C., Kempermann, G., Kuhn, H.G., Winkler, J., Buchel, C., May, A., 2006. Temporal and spatial dynamics of brain structure changes during extensive learning. The Journal of Neuroscience 26, 6314–6317. EClipSE Collaborative Members, 2010. Education, the brain, and dementia: neuroprotection or compensation? Brain: A Journal of Neurology 133, 2210–2216. Hartman-Stein, P., LaRue, A. (Eds. ), 2011. Enhancing Cognitive Fitness: A Guide to the Use and Development of Community Programs. Springer, New York. Hatch, S.L., Feinstein, L., Link, B.G., Wadsworth, M.E.J., Richards, M., 2007. The continuing benefits of education: adult education and midlife cognitive ability in the British 1946 birth cohort. Journal of Gerontology: Social Sciences 62B, S404–S414. Herrnstein, R.J., Murray, C., 1994. The Bell Curve: Intelligence and Class Structure in American Life. Free Press, New York. Hertzog, C., Kramer, A.F., Wilson, R.S., Lindenberger, U., 2008. Enrichment effects on adult cognitive development: can the functional capacity of older adults be preserved and enhanced? Psychological Science in the Public Interest 9, 1–65. Kave, G., Amit, S., Spaiter, T., Ben-Ezra, M., 2012. Formal education level versus self-rated literacy as predictors of cognitive aging. Journal of Gerontology: Psychological Sciences 67, 697–704. Kramer, A.F., Bherer, L., Colcombe, S.J., Dong, W., Greenough, W.T., 2004. Environmental influences on cognitive and brain plasticity during aging. Journal of Gerontology: Medical Sciences 59A, 940–957. Kuncel, N.R., Hezlett, S.A., Ones, D.S., 2004. Academic performance, career potential, creativity, and job performance: can one construct predict them all? Journal of Personality and Social Psychology 86, 148–161. Lovden, M., Backman, L., Lindenberger, U., Schaeffer, S., Schmiedek, F., 2010. 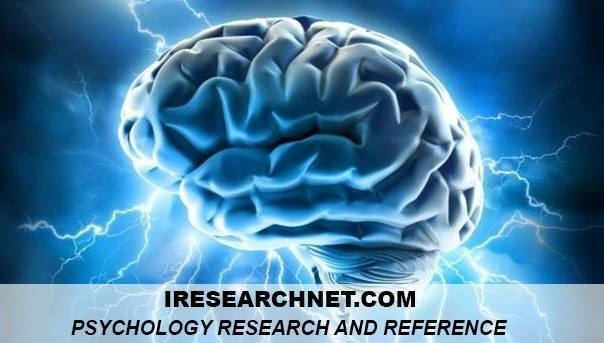 A theoretical framework for the study of adult cognitive plasticity. Psychological Bulletin 136, 659–676. MacKinnon, D.P., Fairchild, A.J., Fritz, M.S., 2007. Mediation analysis. Annual Review of Psychology 58, 593–614. Manly, J.J., Schupf, N., Tank, M.X., Stern, Y., 2005. Cognitive decline and literacy among ethnically diverse elders. Journal of Geriatric Psychiatry and Neurology 18, 213–217. Metcalfe, J., Kornell, N., 2005. A region of proximal learning model of study time allocation. Journal of Memory and Language 52, 463–477. National Research Council, 2012. Improving Adult Literacy Instruction: Options for Practice and Research. National Academies Press, Washington, DC. Noble, K.G., Grieve, S.M., Korgaonkar, M.S., Engelhardt, L.E., Griffith, E.Y., Williams, L.M., Brickman, A.M., 2012. Hippocampal volume varies with educational attainment across the life-span. Frontiers in Human Neuroscience 6, 1–10. Article 307. Payne, B.R., Gao, X., Noh, S.R., Anderson, C.J., Stine-Morrow, E.A.L., 2012. The effects of print exposure on sentence processing and memory in older adults: evidence for efficiency and reserve. Aging, Neuropsychology, and Cognition 19, 122–149. Richards, M., Sacker, A., 2011. Is education causal? Yes. International Journal of Epidemiology 40, 516–518. Riley, M.W., Riley Jr., J.W., 2000. Age integration: conceptual and historical background. The Gerontologist 40, 266–270. Ritchie, S.J., Bates, T.C., Der, G., Starr, J.M., Deary, I.J., 2013. Education is associated with higher later life IQ scores, but not with faster cognitive processing speed. Psychology and Aging 28 (2), 515–521. Rohwedder, S., Willis, R.J., 2010. Mental retirement. Journal of Economic Perspectives 24, 119–138. Schaie, K.W., Zanjani, F.A.K., 2006. Intellectual development across adulthood. In: Hoare, C. (Ed. ), Handbook of Adult Development and Learning. Oxford University Press, New York, pp. 99–122. Schneider, A.L.C., Sharrett, A.R., Patel, M.D., Alonso, A., Coresh, J., Mosley, T., Gottesman, R.F., 2012. Education and cognitive change on 15 years: the atherosclerosis risk in communities study. JAGS 60, 1847–1853. Stern, Y., 2009. Cognitive reserve. Neuropsycholgia 47, 2015–2028. Stine-Morrow, E.A.L., Basak, C., 2011. Cognitive interventions. In: Schaie, K.W., Willis, S.L. (Eds. ), Handbook of the Psychology of Aging, seventh ed. Elsevier, New York, pp. 153–170.